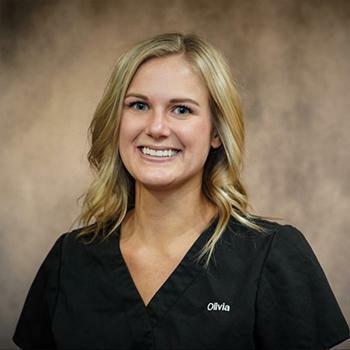 Olivia started working at Lifetime Eyecare in February of 2018. Olivia has previous experience as a receptionist and patient relations. She is very excited to be working with patients and is eager to keep learning more about the industry and building relationships. With a background in real estate, Olivia demonstrates acute attention to details and has a reliable problem-solving mindset. We are lucky to have her as an addition to our team! 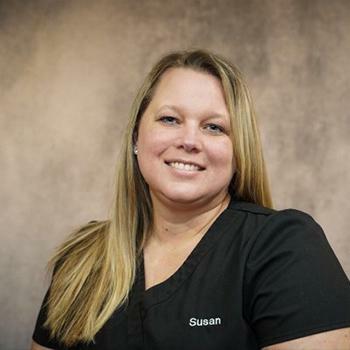 Susan has been working at Lifetime Eyecare the longest out of any staff member. She brings a warm and welcoming disposition to the front desk and she has a unique understanding of billing, after spending years as our biller, which helps her to understand even the most complicated insurance plans. It is her level of understanding and attention to the “little things” that enables our front desk to function smoothly and efficiently. Susan’s inviting personality and professionalism will leave a lasting impression of how much Lifetime Eyecare cares about YOU! 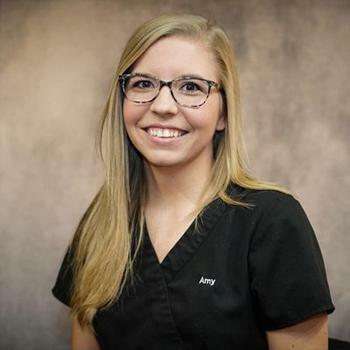 Amy began working at Lifetime Eyecare in 2017. She is a certified paraoptometric technician and she had been working in different optometry and ophthalmology practices since 2014. In September of 2018 Amy was promoted to Clinical Manager and she is excited to continue building on this practice’s reputation of outstanding patient care. Amy is happy to be back in the Grand Rapids area after growing to love the city during her time at GVSU. She is looking forward to meeting our patients and helping them to achieve their best vision. Lori came back to work in our office after a 27 year hiatus. She has been in the industry 30+ years and loves taking advantage of opportunities to brighten the days of those around her. She carries with her both a wealth of knowledge and a passion for patient care. 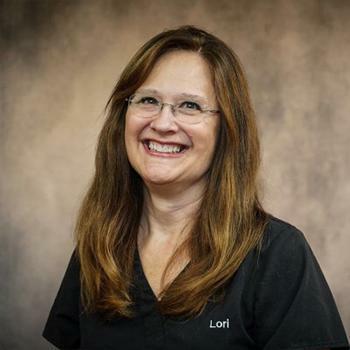 We are so thrilled to have Lori back with the team and Lifetime Eyecare. 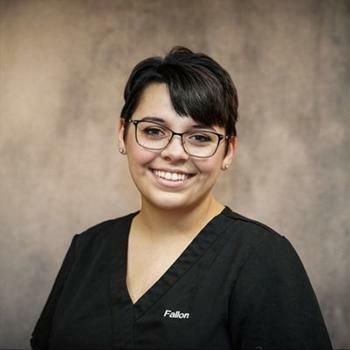 Fallon begin working at Lifetime Eyecare September of 2018, but has been working in the industry since 2016. 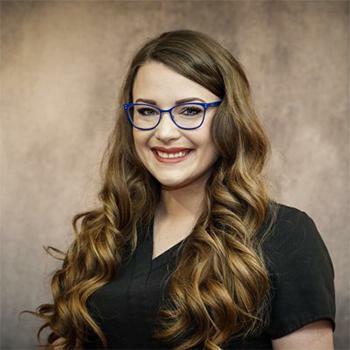 Fallon has experience in both the optical and medical side of eye care and takes pride in making all patients feel important and comfortable while providing the best possible care. We are very excited to have her as a part of our team! Fallon’s compassion and welcoming personality is what drives her to make sure every patient feels heard and cared for. In Fallon’s spare time she enjoys exploring all over Michigan with her husband. She enjoys all things outdoors. Tiffany started working at Lifetime Eyecare in March of 2016, but has been in the optical industry since 2010. Tiffany is a highly skilled optician with a charming and infectious personality. She has a great eye for style and loves helping people find the eyewear that makes them come alive. Tiffany has worked in many areas of the industry including: Optical Manager, Eyecare Supervisor, Optical Blogger, Regional Trainer in Optics, Lab Tech and Frame Rep. In her spare time, Tiffany volunteers at Crash’s Landing Cat Sanctuary and will be sure to tell you all about her adopted cats, Verdelle and Morpheus. Pitino began working at Lifetime Eyecare in August 2018, but started in the industry back in 1993. 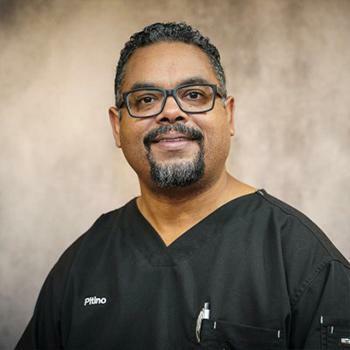 Pitino is an ABO certified, bilingual optician fluent in English and Spanish. He is very proficient when helping patients with their glasses needs. His passion is helping patients see the world clearer than yesterday.